Kruckeberg, A. R. 1969a. Soil diversity and the distribution of plants, with examples from western North America. Madrono 20:129-154). Kruckeberg, A. R. 1969b. Plant life on serpentinite and other ferromagnesian rocks in northwestern North America. Syesis 2:15—114. Kruckeberg, A. R. 1982, 1996, 2013. Gardening with Native Plants of the Pacific Northwest: Third Edition, Revised and Enlarged . Univf Washington Press, Seattle and London . Kruckeberg, A. R. and J. L. Morrison. 1983. New Streptanthus taxa (Cruciferae) from Califonia. Madrono 30:230-244. Kruckeberg, A. R. 1984.California Serpentines: Flora, Vegetation, Geology, Soils, and Management Problems. Univ. Calif. Publs. in Botany, Berkeley, Los Angeles, London. Kruckeberg, A.R. and D. Rabinowitz. 1985. Biological aspects of rarity in higher plants. Annual Reviews of Eco1ogy and Systematics 16: 447—479. Kruckeberg, A. R. 1986. An essay: The stimulus of unusual geologies for plant speciation. Systematic Botany. 11:455—463. Kruckeberg, A. R. 1991. An essay: Geoedaphics and island biogeography for vascular plants. Aliso 13:225-238. Kruckeberg, A. R. 1995. Ecotypic variation in response to serpentine soils. In Pac. Div. AAAS Symposium vol. Ecogeographic Races – Turesson to the Present. 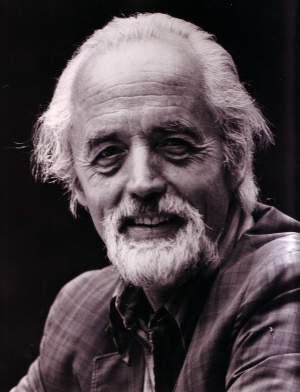 Kruckeberg, A. R. 1999. Serpentine barrens of western North America. Ch. 19 in Savannas, Barrens and Rock Outcrop Plant Communities of North America. Eds., Anderson, R. C., J.S. Fralish, J. M, Baskin. Pp.309-32l. Cambridge, England: Cambridge University Press. Kruckeberg, A. R. 2002. Geology and Plant Life: The Effects of Landforms and Rock Types on Plants. Univ of Washington Press, Seattle. Kruckeberg, A. R., I. Spring, K. Sykes, and C. Romano. 2004. Best Wildflower Hikes Washington (Best Hikes). The Mountaineers Books. Cordee Press, Leicester, England. Kruckeberg, A. R. 2006. Introduction to California Soils and Plants: Serpentine, Vernal Pools, and Other Geobotanical Wonders (California Natural History Guides). Univ. of Calif. Publs. In the University of California Press, Berkeley, Los Angeles, London. Copyright © 2019 Art Kruckeberg All Rights Reserved.